A Citra man remained in critical condition Tuesday after he was involved in a car crash Monday afternoon. 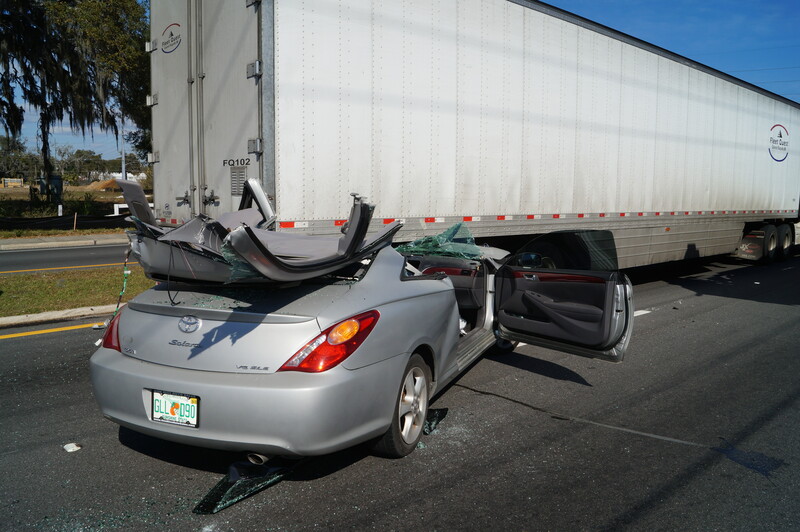 Ocala Police Department traffic crash investigators said Antonio James Turner, 38, who was driving a 2004 Toyota Solara, was traveling eastbound in the 2700 block of North U.S. 27 in the outside lane when the vehicle swerved and slammed into the back of a semi. The 2006 semi, driven by Jennifer Sullivan, 44, was also traveling eastbound and was stopped for traffic in the inside lane. Crash investigators said it did not appear that the man attempted to brake prior to slamming into the back of the semi. According to reports, Turner was not wearing his seat belt. Investigators said that they do not believe speed was a factor in the accident. Turner had to be extracted from the vehicle.